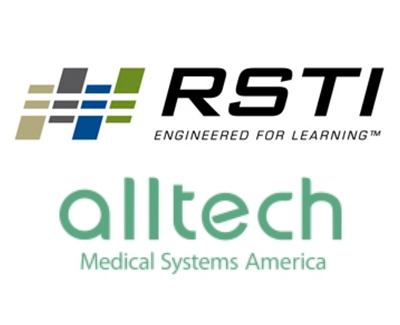 Alltech Medical Systems America and RSTI have reached a training agreement in which RSTI will offer an MRI service training program at Alltech Medical Systems America’s headquarters in Solon, Ohio. Both parties cited a desire to expand their offerings and leverage their core competencies, and the goal of this program is to offer a complete spectrum of service solutions by adding MRI training courses. RSTI has offered diagnostic imaging training for over 27 years and brings a proven teaching method to this opportunity. Alltech has engineered and manufactured superconducting 1.5T MRI systems for 12 years with solid experience in R&D, application, and service. Alltech will provide technical expertise on the MRI systems to assist the expansion of RSTI’s training program. The collaborative agreement also provides the technical training on generic platforms of MRI systems commonly used at customers’ sites. Because many of the installed MRI systems are older, customers learn how to keep the uptime by taking care of the aged MRI systems. For more information, visit www.rsti-training.com.